Starlight shines from every facet of this enchanting candle lamp! 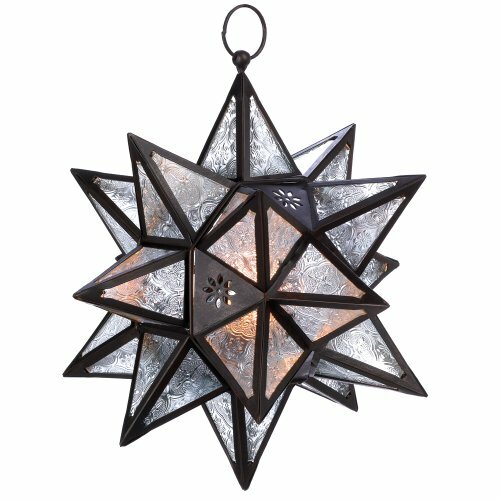 Traditionally formed from pressed glass and bronze for a timeless decoration that adds sparkle to any décor. 11 inches x 11 inches x 14 inches high. Iron and glass. Tealight candle and chain not included.